When we look at the period between the Anglo-Indian war of 1857 and Indian independence in 1947, it is important to view it not in isolation, but in the backdrop of global events during that 90 year period. Instead of viewing that 90 year period as one block, we will look at the common themes till the start of World War I as it was a period of imperial expansion and reactions to it. Mercantilism and tributary system was replaced by capitalism. Spurred by the second industrial revolution, big companies came into existence and there was a need for cheap access to raw materials for the industrial complex. Goods that were the result of mass production could now, due to improvements in transportation, be shipped around the world easily. The rise of joint stock companies and large financial institutions helped scale the industrial production. Also, thanks to war, technologies like steam powered gunships and breech loading rifles helped imperialists conquer countries which would provide them with raw materials and also serve as captive markets. During this period, we United States, Europe, Japan and Russia became new economic titans and started competing with Britain. Another source of imperial expansion was the rise of nation states and a part of nation building involved conquering new territories, like what Christopher Columbus and Vasco da Gama did in the 15th century. Newly formed countries like Germany and Italy competed with the other industrialized countries in this matter. This also allowed “Enlightenment” driven countries to display their hypocrisy as they colonized people around the world. A third source were missionaries. In Africa, the European missionaries saw a great opportunity to display their religious intolerance by failing to respect native traditions. 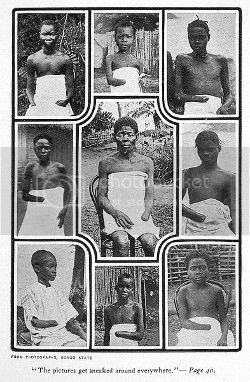 They felt an urgent need to “civilize” Africa and “save” the souls and in fact in countries like Uganda, northern Nigeria and central Africa, missionaries went ahead of the European armies. Americans too used religion as a reason for their imperialist cause. United States, which was once a colony itself, started grabbing frontier lands once they became a nation. By coining a phrase called “Manifest Destiny” and touting their exceptional role in the world which was based on unverifiable divine assertions, United States used muscle power to deprive the indigenous people of their land. Once the natives were conquered, this theory was applied to rest of the world and soon Puerto Rico, Cuba and Philippines came under American control, apparently to rescue them from Spanish tyranny. Following the Anglo-Indian war of 1857, the crown took over the administration of India and also expanded to Malaya and Burma for oil and rubber. The French colonized Laos, Vietnam and Cambodia, while the Dutch took over coffee production in Indonesia. Following Commodore Perry’s visit to Japan in 1853 the Dutch, British, Americans and Russians forced the Japanese to sign humiliating treaties giving them favored access to its port and exemption from local laws. Following the Meiji restoration, Japan conquered Korea and Manchuria and defeated China. 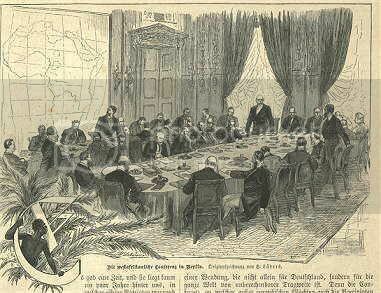 The worst was saved for Africa where in a meeting in Berlin, the continent was carved up among seven European countries. If you look up the history of Carl Peters, Cecil Rhodes and King Leopold of Belgium, you can see what really happened. A consequence of imperial expansion was economic development for the benefit of the imperial forces. In the frontier lands of United States and British Raj, new railway lines were laid and telegraph was introduced, While this looked like generosity from the colonizers, the truth is that the colonies themselves paid for all this. Dams were built and agriculture and tea plantations prospered. Japanese built transportation networks and educations institutions in the colonies of Taiwan and Korea mostly for their own benefit. But there were disastrous consequences for the subjugated. For example, in Indonesia, the Dutch policies resulted in widespread famine. In Africa it caused dislocation of families as people were forced to move across distances to find employment in mining industry or in plantations. The imperial expansion resulted not just in the domestic movement of labor but also in the movement of labor across nations as Indians moved to South Africa, Japanese moved to Brazil and Chinese to California. But once the colonies were stabilized like in Africa, riches started flowing to the industrialized countries. There were radical changes in some of the countries involved in imperialism. 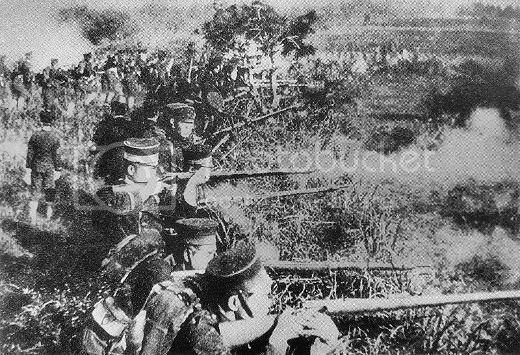 Japan, during the Meiji restoration and in an attempt to keep up with the Western forces, abolished the feudal system, modeled its Constitution on Germany, had its army trained by Prussians. The Russians, following the defeat in the Crimean War by the British, French and Ottomans realized that their weapons were inadequate and their supply chain, weak. Serfdom was abolished, industrialization was pursued and the Trans-Siberian Railroad constructed linking Moscow to Vladivostok. There was a cultural impact as well as it led to the loss of traditional values and identity of local people.The languages (English, French, Spanish) and religion (Christianity) of the colonizers were inflicted on the native population. There was a racial separation of people as well. The colonized were not given the same rights; in India and other colonies, the colonizers never mingled with the local population and kept them at their place. People of American colonies could never become American citizens, in British caste system Indians were in the lower rung and Japan considered Okinawans backward. Thus as the colonizers gained power and wealth, resentment grew among the subjects. It resulted in armed resistance in countries like Indonesia and Senegal and violent and non-violent resistance in countries like India. As empires jostled for supremacy, the response to imperialism was the rise of nationalism in the colonized countries. All the way from India to Philippines to Cuba to Latin America, nationalist movements arose to overthrow the colonists. Tignor, Robert, Jeremy Adelman, Stephen Aron, Stephen Kotkin, Suzanne Marchand, Gyan Prakash, and Michael Tsin. Worlds Together, Worlds Apart: A History of the World: From 1000 CE to the Present (Third Edition). Third Edition. W. W. Norton & Company, 2010.